Creating garage doors of distinction requires the ultimate attention to detail. 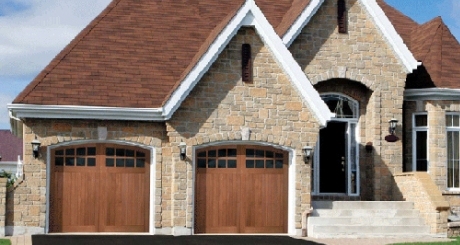 Raynor Distinctions Series custom wood or aluminum garage doors, offer the finest features the garage door industry has to offer combined with the widest range of design options available. 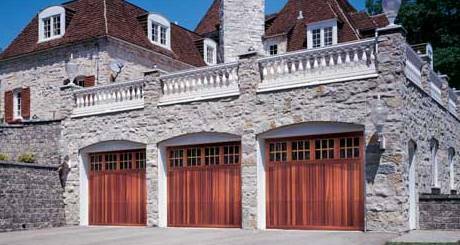 ArborShore custom wood garage doors offer the very best. 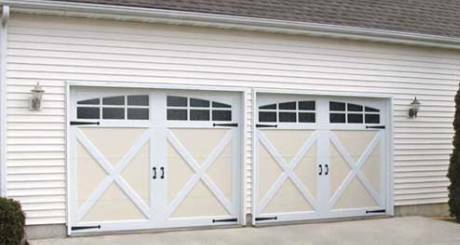 With features such as vertical grain cut lumber, true-divided lites, and consistent wood tone throughout the door, our stainable wood garage doors are second to none. Raynor provides this quality on every ArborShore garage door, and does so at some of the most competitive prices available today. 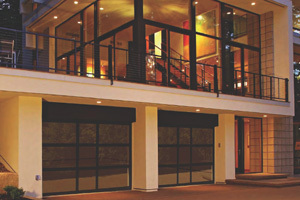 For a truly exquisite statement for your home's facade, choose from the American Rivers Collection wood garage doors. These solid wood carriage house doors, with decorative hand-forged hardware and architectural glass options, offer your home a custom handcrafted look.